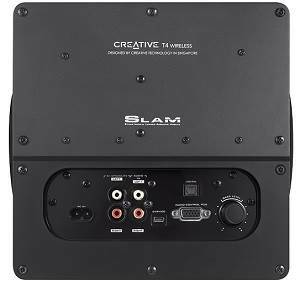 Creative SLAM (Symmetrically Loaded Acoustic Module) technology delivers deep, tight bass. Enjoy premium audio quality wirelessly. Riding on the technology and legacy of our popular, award-winning GigaWorks T3, the Creative T4 Wireless Signature Series continues to fulfill the promise of premium audio quality and convenience for all your entertainment needs, while giving you now the privilege of enjoying all this wirelessly too. It features sleek satellites with audiophile-grade aluminum drivers and a high-performance SLAM subwoofer. A major part of getting the best sensory experience out of your entertainment lies in the quality of your audio. The Creative T4 Wireless is specially engineered and designed to meet - and perhaps even go beyond - all your entertainment audio needs. Feel the excitement and action of your movies as you immerse yourself in the realistic audio playback of the movie, and without compromising on the clarity of the dialog. Get into the thick of action in your games with heart-thumping bass and audio clarity. Enjoy audiophile quality music as you listen to your favorite tracks, immersed in impeccable audio with full-bodied midrange, clear highs and deep, tight bass. 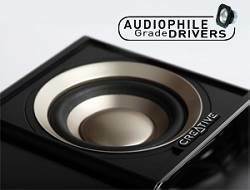 Audiophile-grade drivers delivers full midrange and ultra-clear highs. The powerful SLAM subwoofer brings you realistic bass. You're in control with the multi-functional audio control pod. The Creative T4 Wireless is equipped with aptX and AAC high-definition codecs, giving you high-resolution wireless Bluetooth audio that sounds as good as audio from a wired connection. The audiophile-grade aluminium driver in each satellite delivers full midrange and ultra-clear highs, giving you clear, crisp audio. The powerful yet compact Creative SLAM (Symmetrically Loaded Acoustic Module) subwoofer is professionally engineered and tuned to perfection to bring you realistic heart-thumping bass for a completely engaging gaming or movie experience. Bluetooth wireless connectivity gives you the freedom and convenience to move around your room with your smart device as you're not tied down by any wires.1 And with aptX, you're assured of uncompromised audio quality. Pair and connect in so many ways. 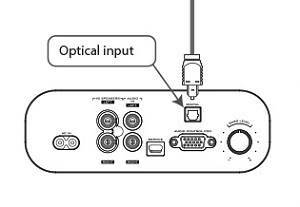 Optical input for digital signals, so you can directly send audio from sources such as your HD TV or sound cards without loss of resolution. Conveniently located adjustment knob for bass. 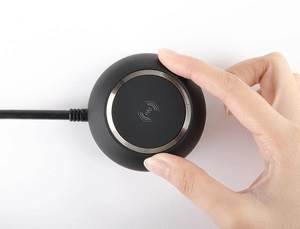 With the NFC (Near Field Communication) receptor on the Audio Control Pod, you can simply tap your NFC-enabled device on it to pair and then you're all set to stream and enjoy your music. The Creative T4 Wireless comes with an optical input for digital signals, so you can directly send audio from sources such as your HD TV or sound cards without loss of resolution. It also has RCA analog inputs for connection to your video console or DVD player, as well as a 3.5mm input for connection to smart devices and portable media players. For late-night gaming or movie-watching, there's no need to worry about waking up the household. The Creative T4 Wireless' Audio Control Pod is integrated with a dedicated headphone jack so that you can conveniently plug in your headphones when the need arises. Fortunately, these aren't dance steps but what you can do with the speakers' multi-functional Audio Control Pod! Press the Source button to toggle instantly between the Aux-in and optical inputs. Tap your NFC-enabled device on it for easy one-touch pairing. And finally, turn the Audio Control Pod itself to make volume adjustments. 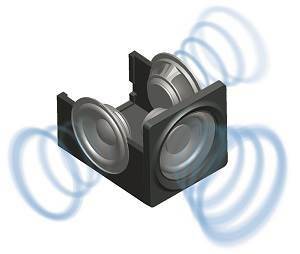 Increase or reduce the desired bass level by simply using the adjustment knob located on the subwoofer. 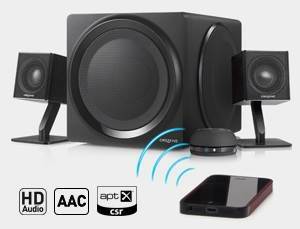 The IR Remote lets you take control of your speakers without you having to leave the couch! You can perform source selection (Bluetooth, Aux-in and optical), turn the speaker on or off, adjust the volume and even control music playback. The Creative T4 Wireless' satellites are designed to deliver powerful audio despite their small size. The small footprint makes it easy for you to position them wherever you want, while saving space on your desktop or living room table. The satellites can also be wall-mounted, making them ideal as TV speakers in the living room. Simply remove the detachable satellite desktop stands and they're ready to be mounted (brackets not included). 2Music playback is on a turn-by-turn basis, with one source playing at a time.